Arkansas is a landlocked state, so unless you find a market that has fish flown in fresh 2 or 3 times a week (like Terry's Finer Foods), you may rely on fish that has been flash frozen when caught. 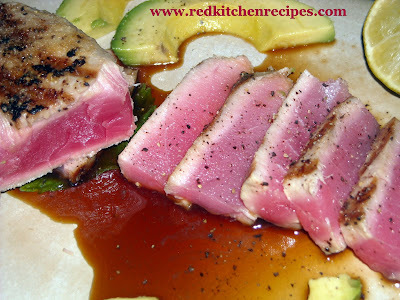 I get my Ahi Tuna from Sam's Club because it is just that. Another advantage is that I can have a bag full of individually wrapped filets that thaw easily overnight, and I can keep the bag on hand for a little while without it going bad. After I thaw my ahi, or yellowfin tuna steak, I dry it on a paper towel, then season it with kosher salt and fresh cracked pepper. 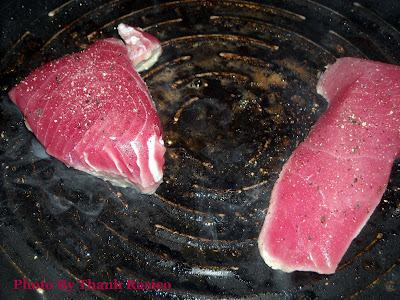 I put my grill pan or cast iron skillet on high heat, and when it is really hot, after about 4 minutes, I spray the tuna with canola spray and add the steaks to the pan. After 2 or 3 minutes, I flip the steak when it's slightly browned, then repeat the other side. When I remove the tuna from the pan, I let it rest about 10 minutes before I slice it. 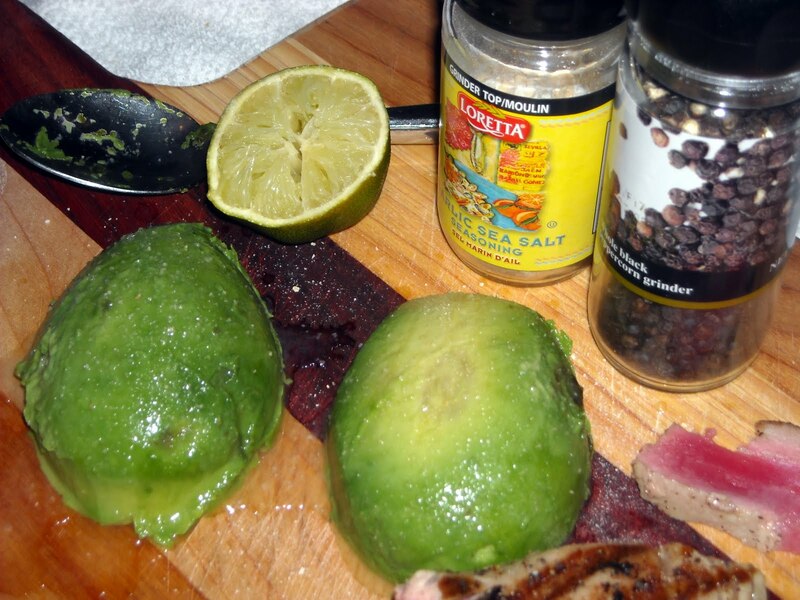 I love the combination of tuna and avocado! After I split my avocado, I douse it with lime juice, garlic powder, sea salt, and pepper. Then I slice it thinly. I love the hand rolls that they make in sushi or Japanese restaurants, so I decided to make a hand roll with rice paper - the wrapper that makes Vietnamese springrolls. 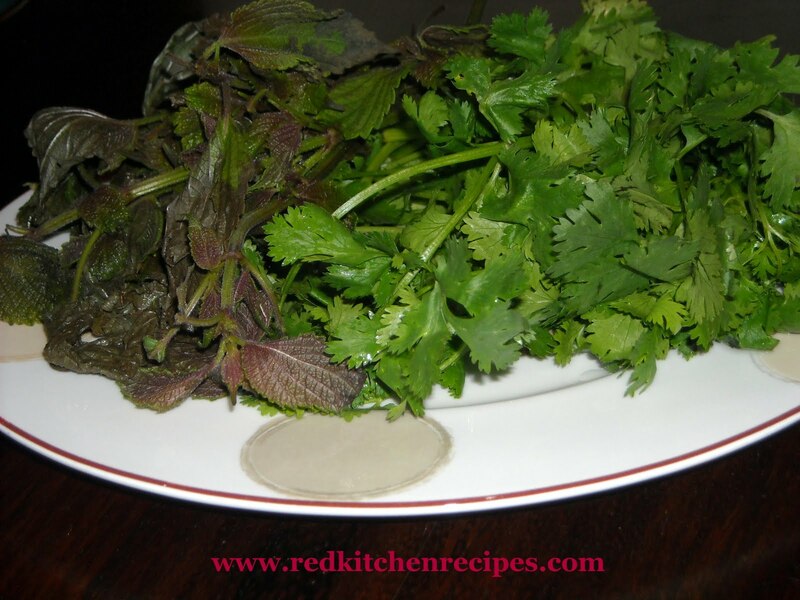 I also added a perilla leaf which is similar to shiso - these herbs just taste green to me. After I sliced my tuna, I drizzled it with ponzu, a citrus soy sauce. After it's rolled up, it's delicious when dipped into the ponzu just before taking a bite. Just ask my friend Neil from work! He's not afraid to invite himself over for lunch! Hi Dave! I absolutely will do this - thank you! 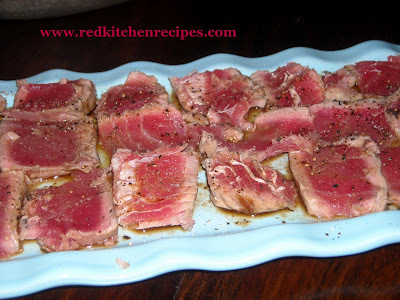 We have a several fish markets here where I live but I have to say this tuna from SAMs looks really good and I bet it's half the price of what I pay. Nice photos too! Sam's club Ahi is fairly tasty, nearly done with my first package and I'm happy with the texture and the smell.